What makes for effective molding of Eastman Tritan™ copolyester? Reviewing all aspects of design—from concept to secondary operations—early on in the process is crucial to end-stage success. Broken devices put patients at risk. What’s more, regulatory agencies may tell manufacturers to stop using certain materials when device performance or life cycle is compromised. The material you choose for your medical devices can have a big impact on your brand’s image. In today’s healthcare environment, not all plastics can withstand exposure to the aggressive disinfectants being used in hospitals. If your device is showing outward signs of suffering from exposure to effects of disinfection, including yellowing, cracking, crazing, or paint peeling, it’s time to reconsider material selection. Medical device failures are a common—and costly—occurrence. They can lead to a product recall, affect the product development cycle, and result in extra expenses for manufacturers. The reasons devices fail can be complex, making it difficult for quality engineers to classify the problem. Understand why failures occur: Most device failures are caused by a misunderstanding of how a material’s properties, processing, and environment work together. In many cases, failures can result from a combination of wrong material selection, poor chemical resistance, high-stress design, or inconsistencies in manufacturing processes. Collaborate with your supplier: Working with material suppliers on material selection, testing, part and tooling design review, and secondary operations can give quality engineers access to knowledge and resources they may not otherwise have. Drug- and lipid-resistant polymers are playing an increasingly important role in enhancing patient safety. Stringent sterilization techniques can cause cracking, crazing, and hazing in commonly used plastics. They can also have a yellowing effect on certain polymers, which can impact color-coding systems in connector applications. Eastman Tritan™ copolyester is resistant to a wide array of medical fluids, such as oncology drugs, drug carrier solvents, and lipids. 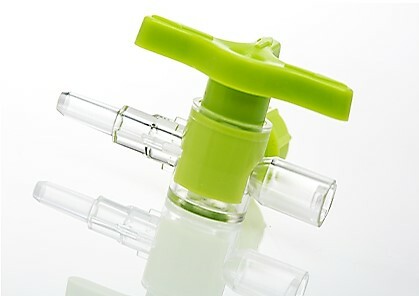 Along with its toughness, low residual stress, and color stability post-sterilization, Tritan is an excellent choice for fluid management components. Regulations in the medical market are constantly changing. When Elcam Medical, a world-class manufacturer of disposable medical devices for the OEM market, wanted to further improve the safety and efficacy of its fluid management devices, they turned to Eastman to find a polymer that complies with new regulations while still optimizing performance. 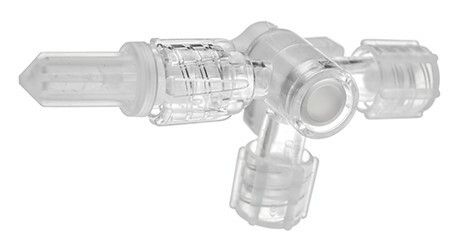 Small-bore connectors are important components of many enteral feeding devices. Good design is critical, as tubing misconnections or failure can put patients at risk for serious injury or death. Global design standards for tubing connectors are now helping improve patient safety and device efficacy. ISO 80369 requires small-bore connectors to be made of semirigid and rigid materials, making incorrect interconnections less likely. 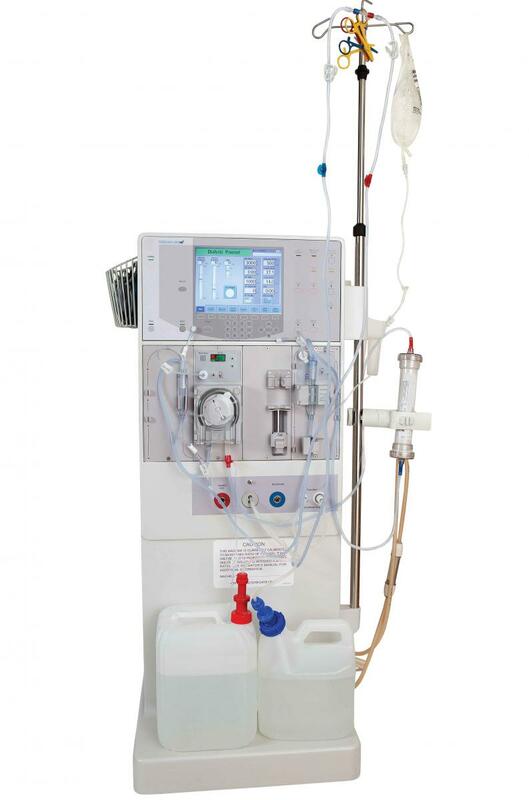 Enteral devices were the first of all the clinical applications to undergo this change. To meet this standard, you may have to adjust your design, which means you may need a new mold or new materials. Eastman Tritan™ copolyester is a rigid material with the properties needed to comply with these regulations. As part of the continued effort to improve cancer treatment, pharmaceutical companies are developing new and improved oncology drugs. However, advanced oncology drugs and carrier solvents challenge the chemical resistance of polymers used in delivery devices. Such conditions can prevent devices from working properly or cause them to fail prematurely. 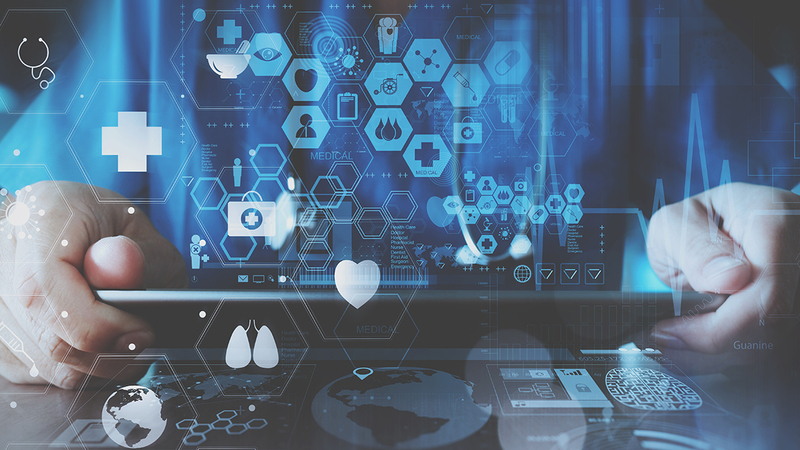 When there is a pattern of compromised device performance or life cycle, regulatory agencies may tell manufacturers to stop using certain materials to protect patient safety. That’s why we developed the housing drop test. This test can be used alongside the 4-step method to understand how a well-designed device will respond to impact after being disinfected. Watch this fascinating conversation with Richard Fechter, a principal developmental engineer at the University of California, San Francisco Medical Center.